Unmanned Aerial Systems (UAS) lifted off recently on inaugural flights above Chevron operations in Southern California. In late 2015, the San Joaquin Valley business unit (SJVBU) launched several different UAS models above the Coalinga Field to capture high-resolution visible and thermal imagery as part of a pilot project to incorporate the technology in its day-to-day field operations. The flights were cleared for takeoff after the U.S. Federal Aviation Administration (FAA) provided approval to use UAS within certain areas of our SJVBU operations. “The focus of the pilot is to collect high-resolution imagery, thermal infrared data and digital point clouds to create digital elevation maps,” said Ken Lewis, SJVBU's i-field™ Research & Development project lead. “This data can be used to create new base maps for all our fields and, for the first time, enable us to create thermal image maps across all our fields – especially those areas around our steam operations. The use of these systems has been tightly regulated in the United States and other countries, but authorizations provided to specific UAS operators enables Chevron to undertake flights for aerial mapping, surveying, detection of potential operational threats and other safety issues. Eventually, Chevron anticipates using UAS and other airborne systems to monitor our shipping, pipeline, production and other operations. In the media, UAS are often misrepresented as drones, which are fully autonomous systems with no human intervention. 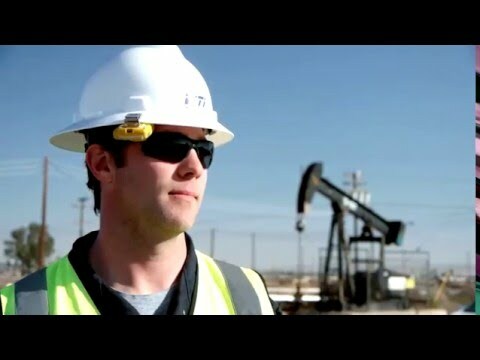 All current UAS at Chevron, however, have a human element involved at all times. Chevron's Aviation Safety Assurance Group, working with Winston Seiler, SJVBU aviation advisor, has developed operational safety procedures for UAS usage. "The technology can help us with a wide range of issues, from security and surveillance to evaluating enhanced oil recovery operations," said Lewis. "Now that we have the go-ahead and settled on specific vendor equipment, we'll be able to share lessons with other operations within Chevron USA."